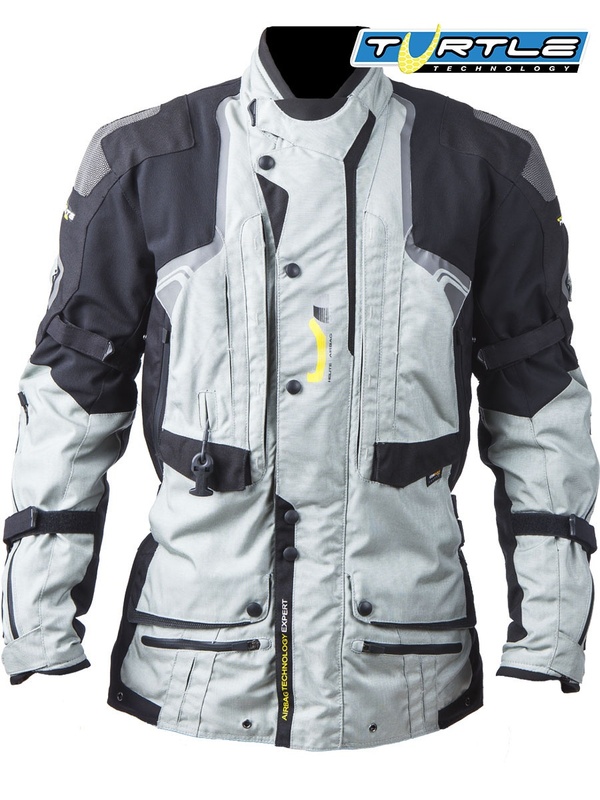 This jacket protects against falls by its highly abrasion-resistant textile (CORDURA) and its integrated airbag (HELITE TURTLE technology) which triggers in 0.1 second. 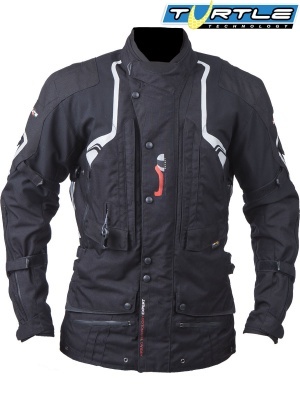 This waterproof and breathing fabric jacket (HUMAX) guarantees comfort. 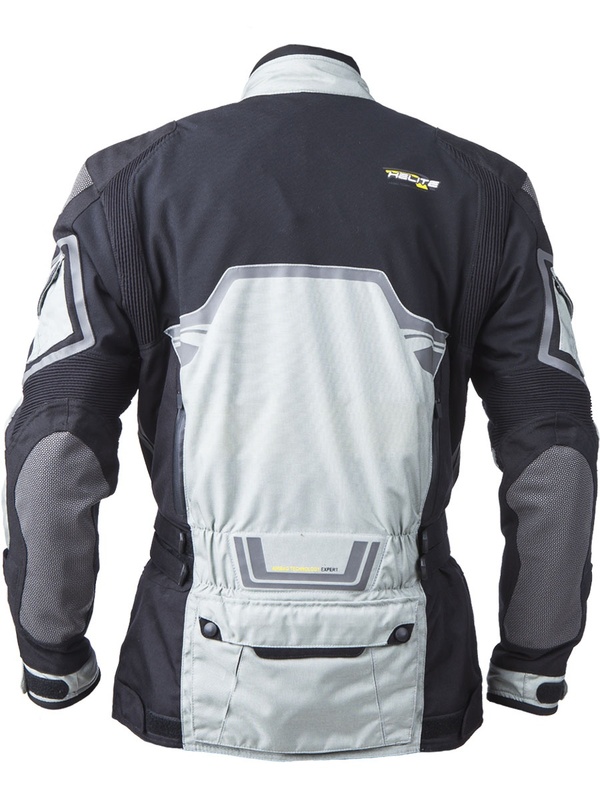 Protecting you from wind and rain, its removable thermal lining is ideal in summer. 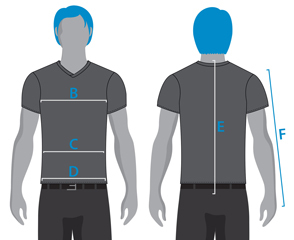 The numerous pockets (front, arms, back and interior) make it very practical. 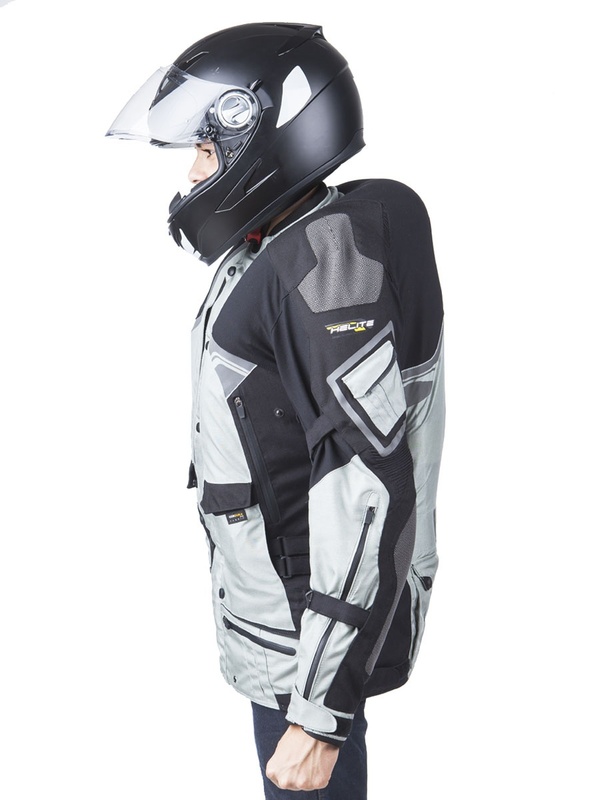 This new technology, like a Turtle's shell, works under the same principle as the biker's helmet: on the outside, a rigid shell (the dorsal) covering soft inside material in contact with the body (the airbag). 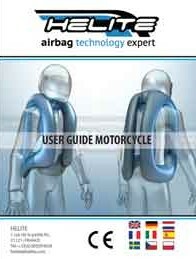 The synergy between the hard hull and the airbag is remarkably effective during an impact against a sidewalk, a safety slide, a signpost, etc.